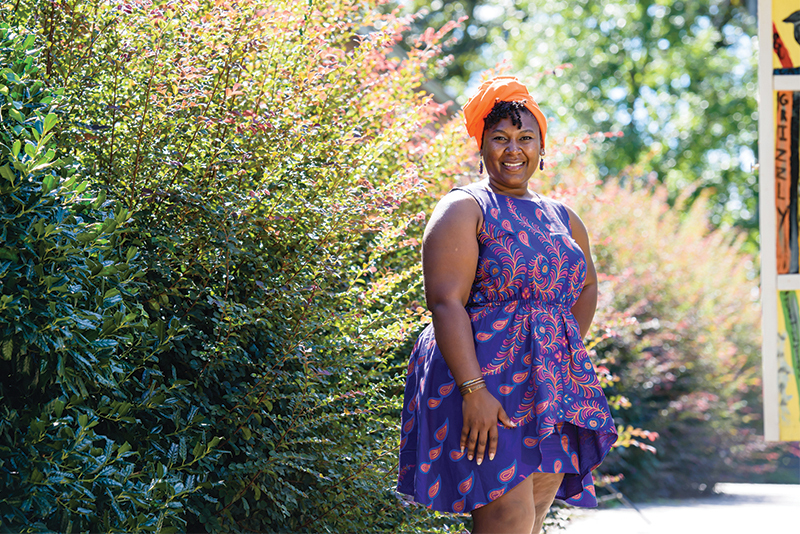 Back in the early 2000s, Lisa Bennett was a secondary education major at Clemson who had no way of knowing that one of her coworkers at a video rental store would go on to found one of the most successful educator development organizations in Zambia. Lusungu Sibande was just another employee in the trenches with Bennett, restocking DVDs and keeping a “naughty” list of late video returners. Lusungu and her sister, Kondi, started A to Zed in 2006 and immediately invited Bennett to travel to Zambia with them. In 2016 Bennett was finally able to join the sisters, offering her abilities as an educator to help teachers in Zambia through professional development workshops. She became an instant believer, making plans to return in summer 2018. Bennett worked with teachers and students in grades 5-9, but her work wasn’t confined to the classroom. A to Zed also tackles service-learning projects, such as helping teachers and students raise and sell crops, the proceeds of which get put back into schools. Members of A to Zed also found time to host a field day for Matthew 25, a local orphanage. Bennett said the experience made her realize just how much the hardworking people of Zambia accomplish with limited resources. One teacher she observed used a single book and no other reading or writing materials to effectively teach a class of 40 students. That experience taught Bennett an important lesson about the role of teachers: “In the end, it’s about me and what I have to give, and that’s expertise, heart and passion,” she said. This summer, she’ll take these talents back to teach — and learn — from the educators of Zambia.